Going through a divorce is almost equivalent to the same whirlwind type of experience as getting married, albeit in a negative context. Much like planning a wedding, preparing for a divorce is just as hectic and time-consuming. Collecting documentation, consulting with an attorney experienced in divorce law, and deciding on property settlement, alimony, and child support take the place of happier plans. Each of these issues is prioritized as of extreme importance, and, realistically, they should be so prioritized. However, there are some items that fly under the radar, and, as such, are typically forgotten in a divorce that nevertheless need to be addressed. Specifically, intangible assets that have a beneficiary designation, such as life insurance policies or retirement accounts (more so the former, as the latter is usually a substantial asset) are items that are typically forgotten until after the divorce. A discussion of the legal ramifications of divorce on such assets, along with an exception for life insurance policies, will follow below. To ensure that a divorced spouse does not inadvertently collect on such beneficiary-based assets, in many cases, Florida law automatically voids a beneficiary designation of a former spouse as soon as a divorce is completed. This provision also applies to employee benefits plans, retirement accounts, payable upon death accounts, other accounts that are payable upon death, and annuities or other similar contracts, provided these plans and accounts have a beneficiary designation aspect. It is important to note that this law does not necessarily apply to every asset requiring a beneficiary designation. If the asset was purchased in another State, that State’s law, which may or may not have the same “revocation-on-divorce” effect, may apply. An attorney experienced in divorce law can help navigate this nuanced legal issue. 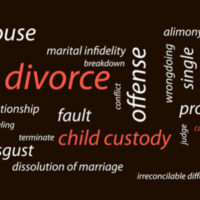 In addition to the exceptions listed above, if a divorce decree states that one spouse is to maintain a life insurance policy to secure an alimony or child support obligation, Florida law requires that that spouse reaffirms the former spouse as the beneficiary on the policy after the divorce has been finalized. Failure to do so will result in the removal of the former spouse as beneficiary and a violation of the terms of the divorce judgment. Accordingly, if so required, a spouse must contact the life insurance company after the divorce has been finalized to confirm this reaffirmation occurred, though qualifying for the policy should occur before the divorce settlement is issued to avoid potential issues of disqualification from coverage. Ensuring that your former spouse is removed from all your assets can be a time-consuming matter. The attorneys at the office of Joyce A. Julian, P.A. 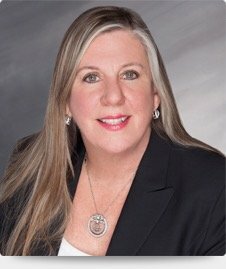 have years of experience in divorce law, and their attention to detail will place you in the best possible position going into, and emerging from, this process. Contact the Fort Lauderdale office to learn how they can help you.